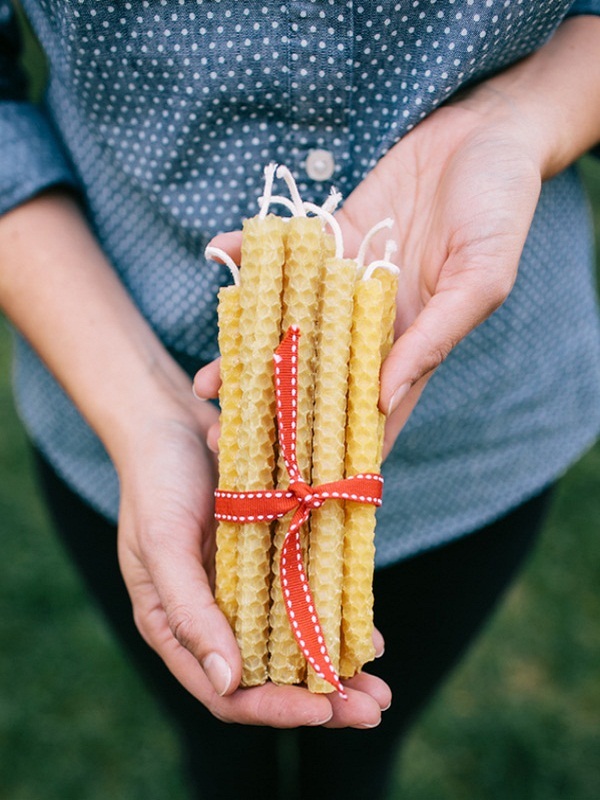 This Christmas, make your mom feel special with a handmade gift for her. There are many ways to express your love for your mother but nothing can surpass the joy of making a gift with your own hands. A smile on her face is guaranteed and you will also feel elated to have made her day special. So, while your mom is busy preparing for the upcoming festivities, you can indulge in lovely craft ideas to make a special gift for her. Here are the top 40 Do-It-Yourself Christmas gift ideas for your loving mother. Delight your mom with this pretty handmade chocolate bouquet placed nicely in a basket. Pick her favorite chocolates to make this present. These handmade candle pillars made from cinnamon sticks are a perfect Christmas gift for your mother as they will help her out in the festive home decor. Isn’t it? Your mom will definitely love this fresh floral bracelet made by you. 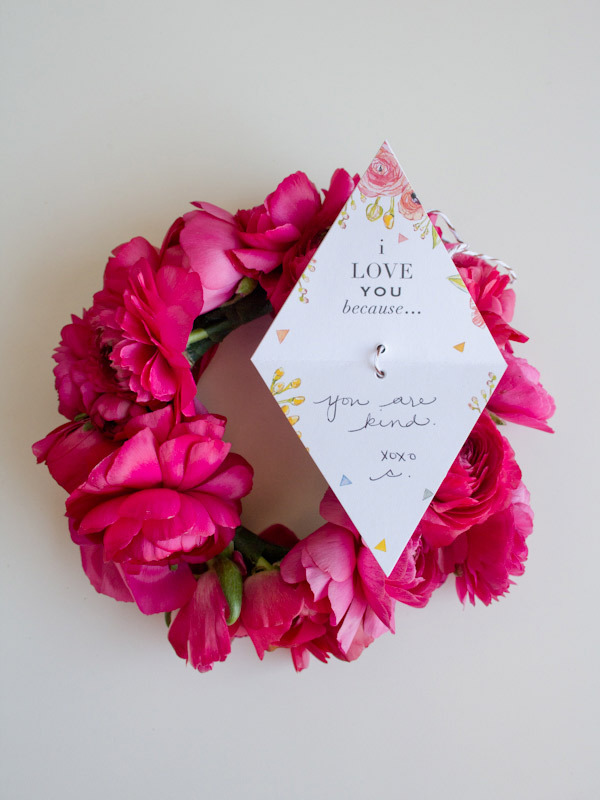 All you need for this amazing gift is the flowers, floral wire and tape. 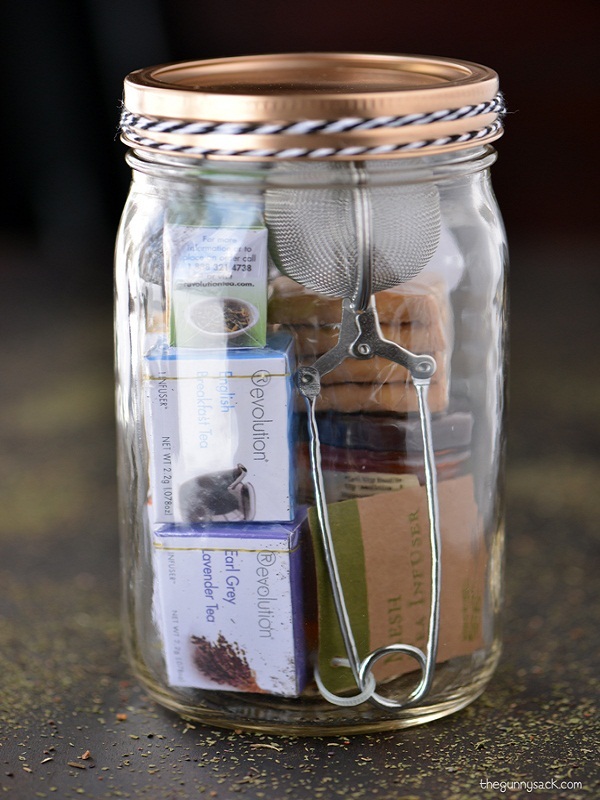 If your mom loves cooking, she is going to love this DIY gift as well. Wrap the wooden spoons in the fabric of her favorite color. Make this lovely and beautiful photo frame vase with an unused mason jar, some paint, and an adorable picture. A personalized poster with your heartfelt feelings is also an amazing gift for your mom. This is a versatile handmade gift that you can give her on any occasion. Make these beautiful snowman shaped pearl earrings for your mother and she will love them. Gift your mom with this handmade peppermint soap that takes hardly 10-15 minutes to prepare. Let her pamper her skin this Christmas! These pretty small lip balm tubs will certainly please your mother. They will pamper her lips and broaden her lovely smile! These hand painted kitchen towels are wonderful for the moms who love spending their time in the kitchen. Use fabric colors and vinyl stencil for making them. Make an easy trail mix with raisins, walnuts, colored candies and sunflower seeds for your mon’s evening snacking. It’s a healthy and nutty gift for her! A stunning gift for the garden loving moms. What’d you say? This easy to paint and sew pillow is such a cuddly and cute Christmas gift for the moms. You can make these cute clay jewelry bowls for your mom this Christmas and help her in tidying up her jewels nicely. A wonderful Christmas gift for your mom and super easy to make. These hand knitted colorful coasters are a lovely Christmas gift for moms who love everything tidy during the holidays. Don’t know why but mason jar gifts always work the best for Christmas gifting. So, you can give your mother a survival kit stacked with some beauty and health supplies. This photo frame made from Popsicle sticks and Washi tapes is a beautiful and nostalgic Christmas gift for your mother. If your mom loves gardening and plants, she’ll love this gift certainly! You can make this easy foot soak for your mom’s tired feet and give her some well-deserved relaxation. Make these cute pin cushions with old jars and fill them with her favorite cookies or candies for adding the festive fervor. This simple to make wooden tablet holder is an amazing Christmas gift for the techie moms. This is the best gift for the mothers who love baking! 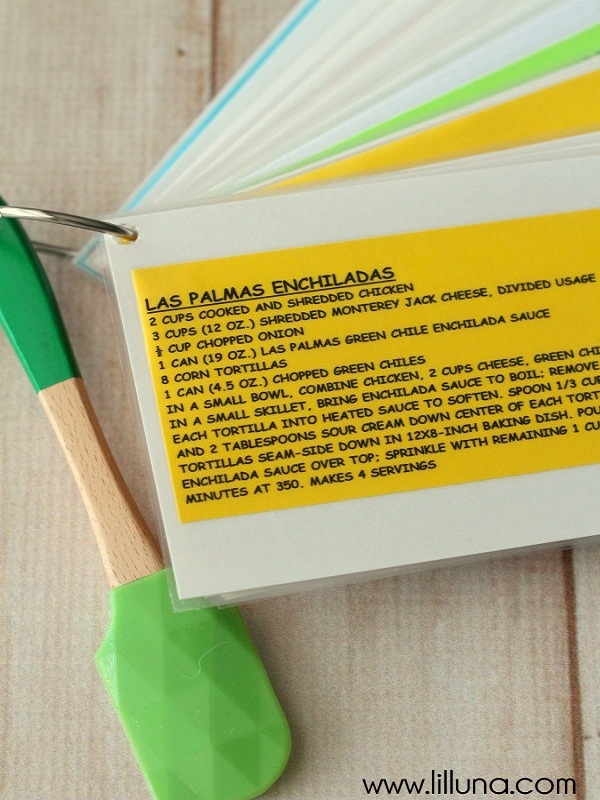 This recipe ring will keep all her favorite recipes compiled at one place. Loved this beautiful Christmas gift. 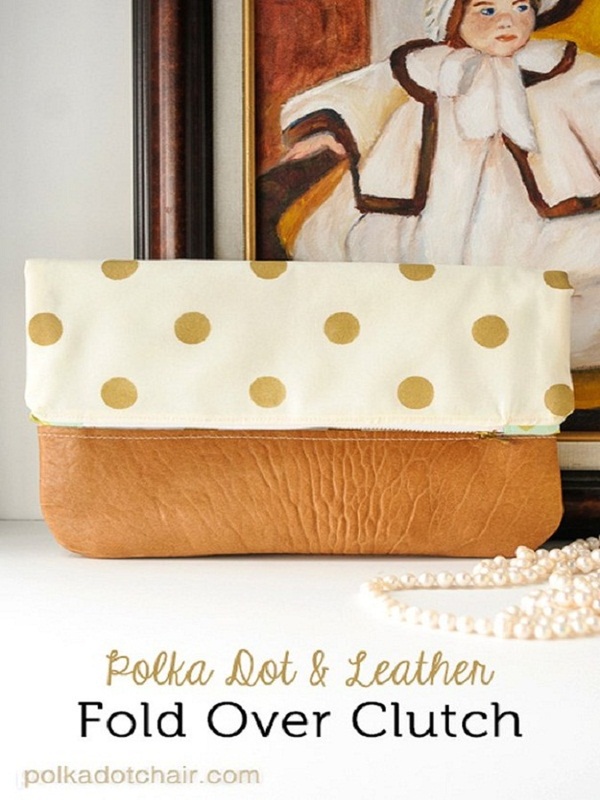 This handmade clutch made from leather and polka dot print fabric may take little more time to make but is really worth a try for your mom. 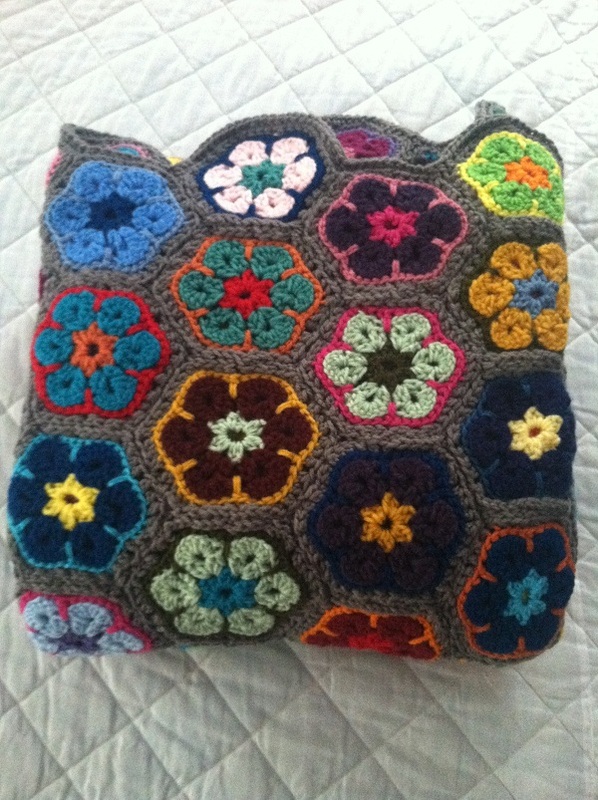 If you know how to crochet, then surprise your mom with this beautiful crocheted flower design blanket on Christmas. Love playing with colorful buttons? 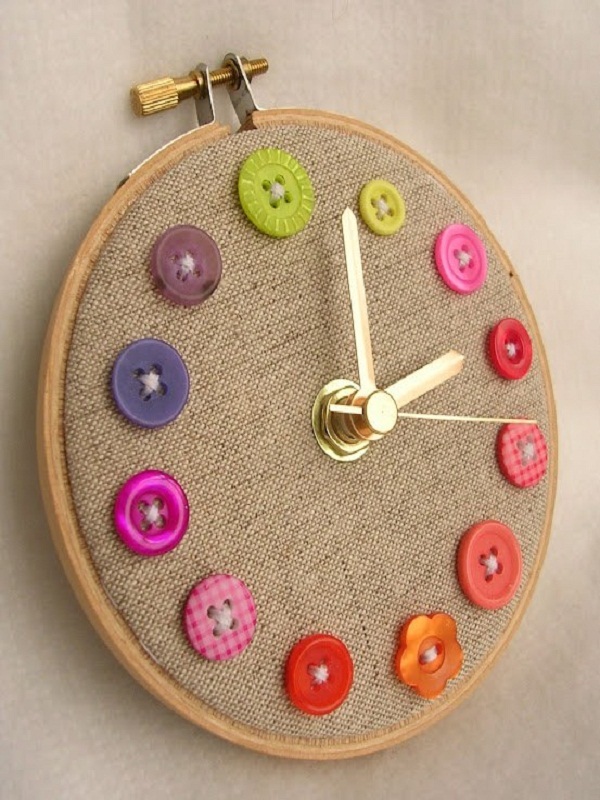 This button clock will definitely impress your mother! 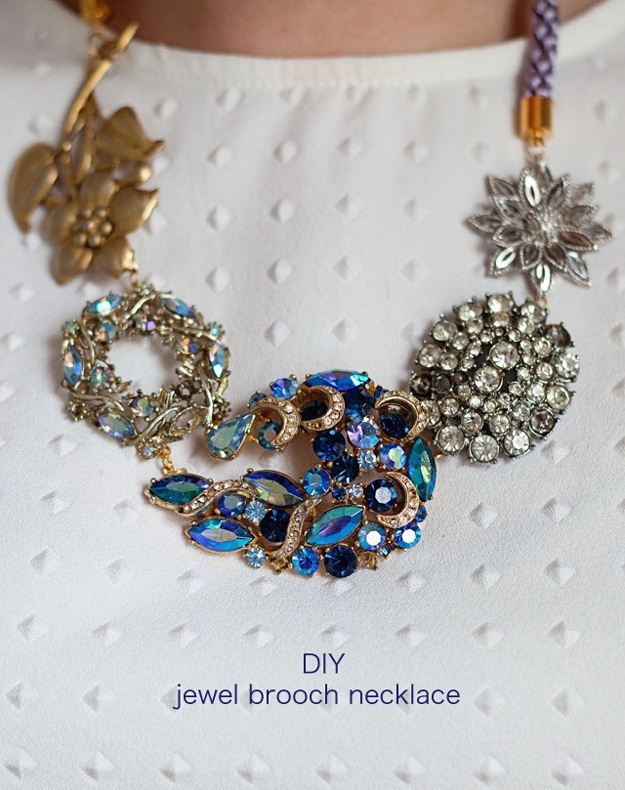 Make this stunning brooch necklace for your mother. This Christmas, she will put her fashionable foot forward in style. 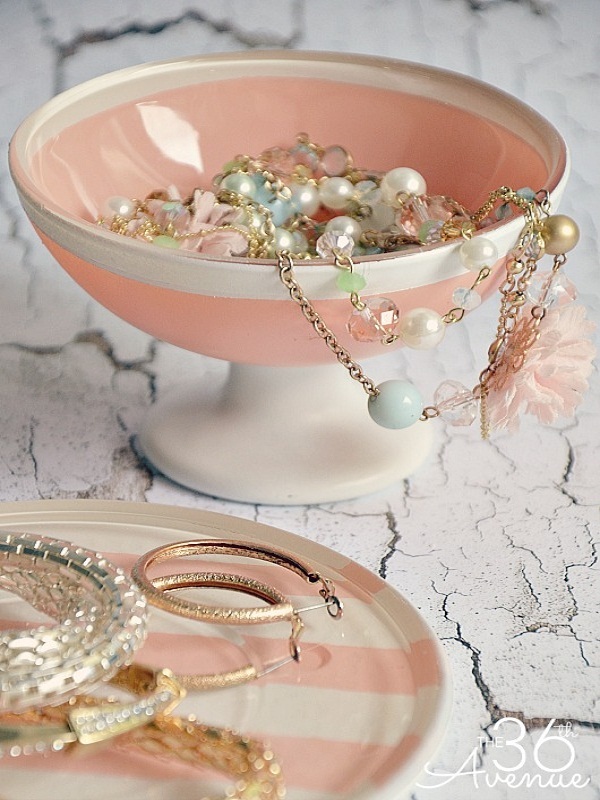 Make these lovely jewelry holders with old ice cream cups and glass candle stands. They look so fascinating! A perfect Christmas gift for your loving mom! It is superbly easy to make as well. Christmas is the time for family reunion. Why not gift your mother the most deserved family tree frame made with thumbprints? If your mom loves her morning cuppa, then she will love this fantastic gift as well. 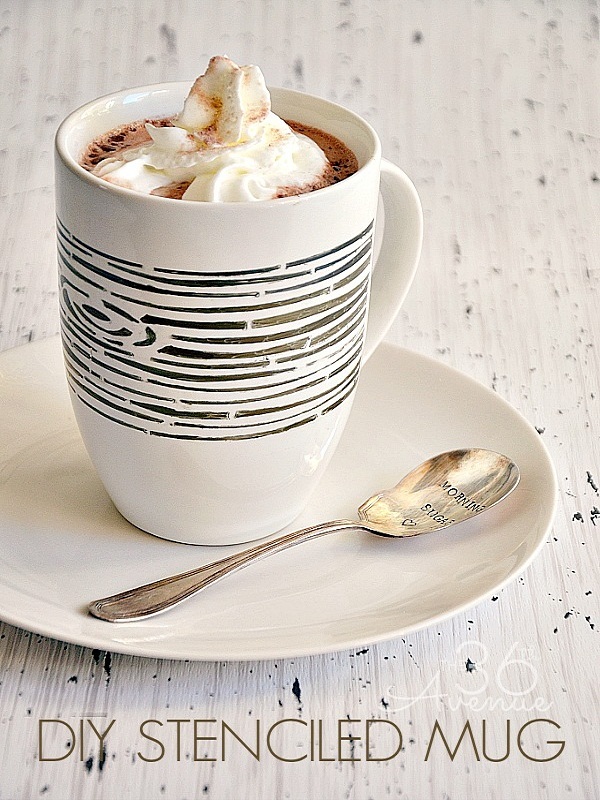 You can also make this stenciled mug for your mother. It is simple and adorable! 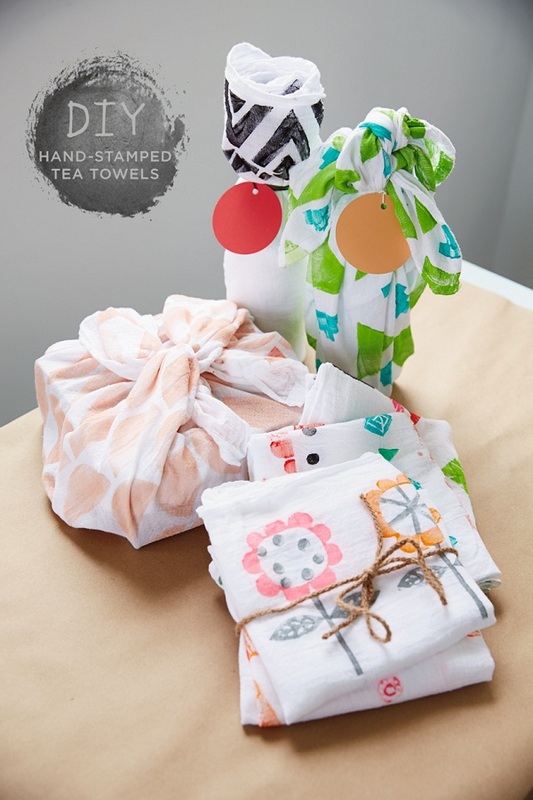 These hand stamped cute tea towels are also a wonderful Christmas gifts for the doting mothers. Make this red glove holding all her essential kitchen tools and make a perfect Christmas gift for your mom. 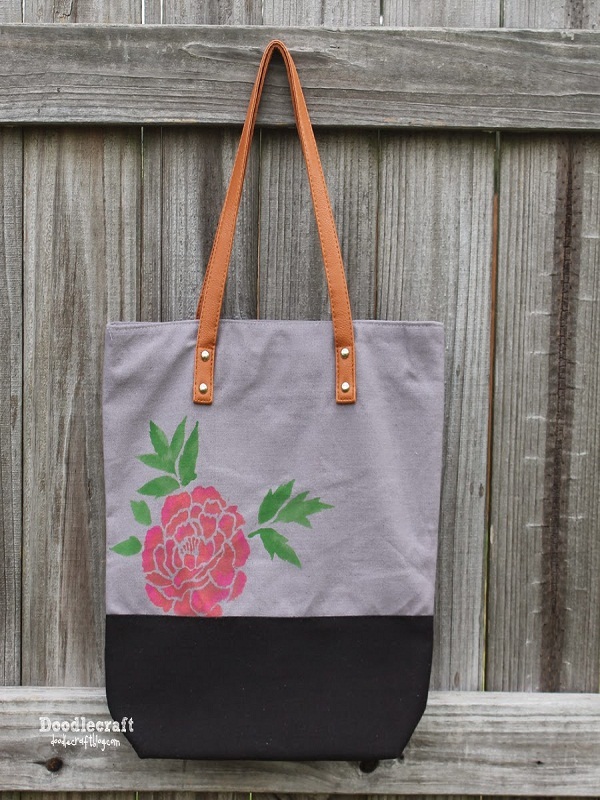 This Japanese stenciled tote bag is also a beautiful handmade gift for your mommy dearest. 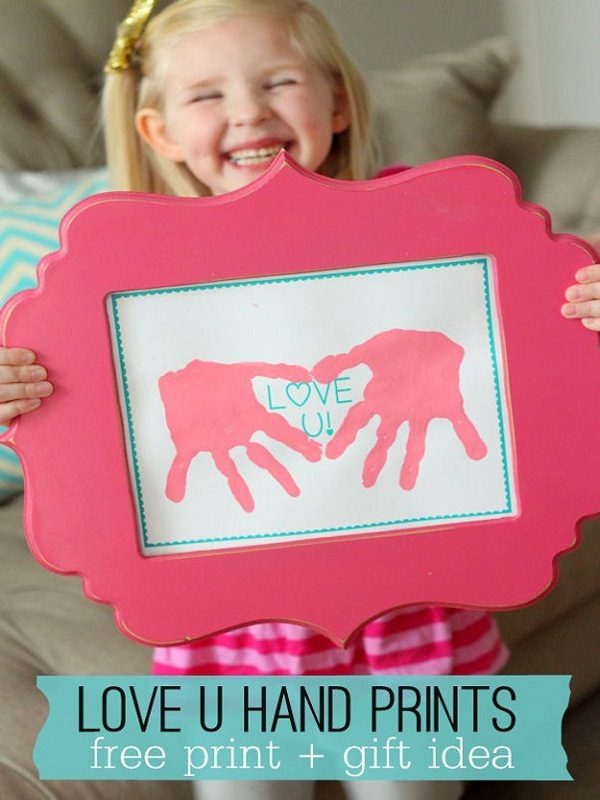 If you are small enough to try any of these tricky crafts, this cute hand-print message will definitely win over your mother’s heart. Make these lovely jewel soaps for your mom and let her pamper her skin with these handmade soaps. Make these cozy felt slippers for your mother and delight on the Christmas this year. Most of the moms love recycled crafts. So, this recycled scarf made from an old sweater will definitely impress your mom. These are the top 40 ideas for Christmas gifts for the moms. Try them and make your mother happy on this Christmas.